Christopher A. Walker advises and represents a diverse range of clients, including large and small businesses, governmental and civic organizations, farms, and individuals, on matters of environmental law. A former Ohio Assistant Attorney General, Chris has worked with virtually every facet of federal and Ohio environmental law in a career that spans thirty years. Chris negotiates environmental permits and administrative orders, prosecutes and defends lawsuits, and provides guidance to clients and law firms on issues of environmental compliance and liability avoidance in a wide variety of contexts, including business and real estate transactions, estate planning, and probate. Chris also advises and represents landowners, local governments, and community organizations in environment-related land use matters, including brownfield redevelopment, federal facilities cleanups and environmental impact statements. He represented a city and its community improvement corporation in the $1 billion cleanup of a former U.S. Department of Energy facility, and has advised parties in the sale or donation of conservation easements resulting in the permanent protection of over 1,500 acres of farmland and open space in western and central Ohio. Chris began his career in 1988 as an Ohio Assistant Attorney General in the Environmental Enforcement Section, where he served as lead counsel on numerous environmental enforcement matters relating to air and water pollution, hazardous waste, and public drinking water. From 1995-99, he was a member of the environmental practice group of Thompson, Hine & Flory, a major Midwest law firm. Chris also serves as a mediator and facilitator in connection with environmental and public policy matters. For example, he facilitated a successful round-table discussion on drainage policy and water quality in northwestern Ohio involving county and township elected officials and staff, academic researchers, governmental agencies, and representatives from agricultural and environmental groups. Chris has been active in legislative and lobbying efforts relating to environmental regulation and land use, and has provided testimony before House and Senate committees of the Ohio General Assembly. Assistant Attorney General, Environmental Enforcement Section, Office of the Attorney General, State of Ohio, 1988-90, 1993-95. Nominated Fellow of the Ohio State Bar Foundation, the charitable arm of the Ohio State Bar Association dedicated to public understanding of the judicial system. Nominated Fellow of the Dayton Bar Foundation, a distinction extended to lawyers and judges in the Dayton legal community recognized for having maintained the highest standards of the legal profession. Appointed to The Ohio State University School of Agriculture’s Advisory Council on Rural-Urban Policy Research and Education, 2002-04. Awarded the 2001 “Friend of Township Government Award” by the Madison County Township Trustees’ Association for assistance of local interests in connection with the controversial Darby National Wildlife Refuge proposal. 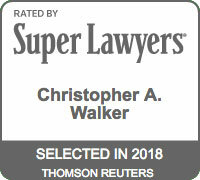 Selected annually for inclusion in numerous peer-reviewed lists of leading environmental lawyers, including Super Lawyers, Best Lawyers, and Chambers USA.